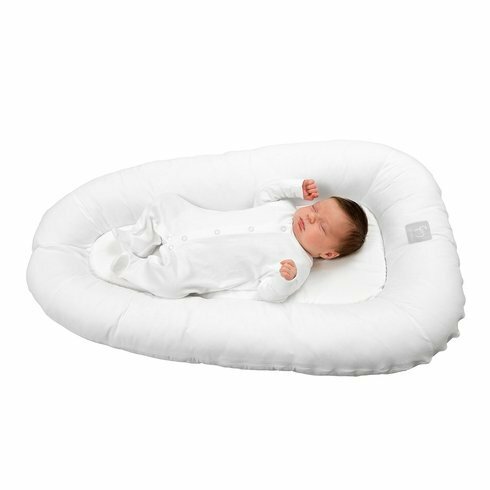 ClevaSleep Pod gives your baby a safe and snug sleeping environment. 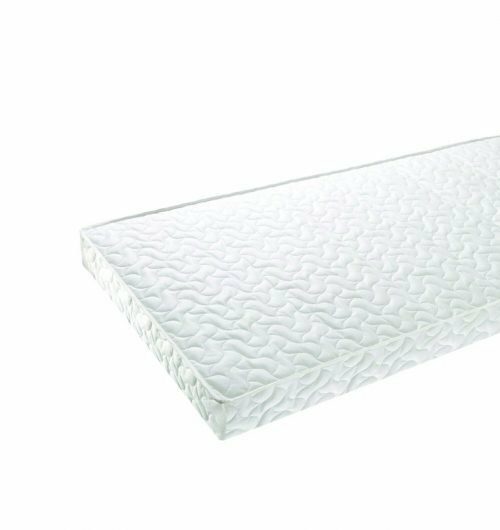 Using ClevaFoam® technology, this soft luxurious and breathable pod supports baby’s entire body from head to toe during those early months when they are growing at their fastest rate. 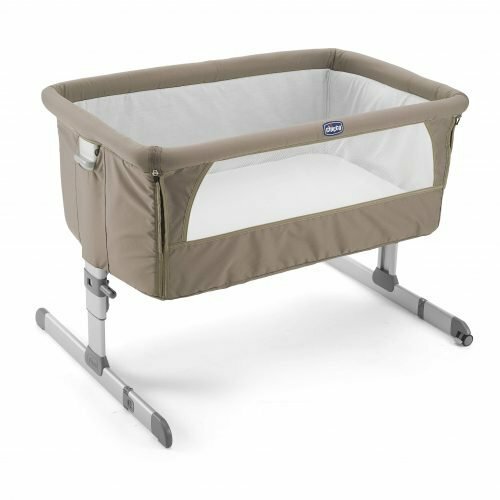 The ClevaSleep Pod can be used in a crib, cot or when co-sleeping. 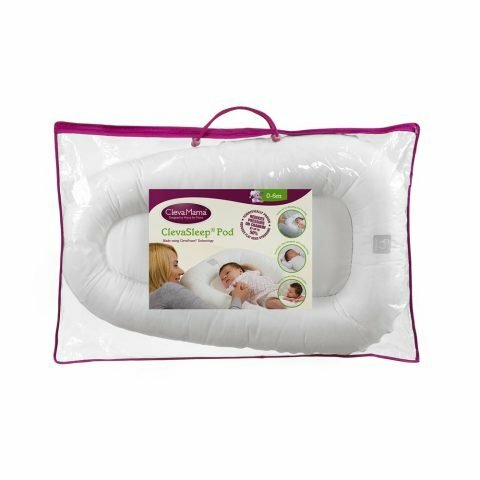 The portable pod is also great for tummy time, changing station or when travelling. 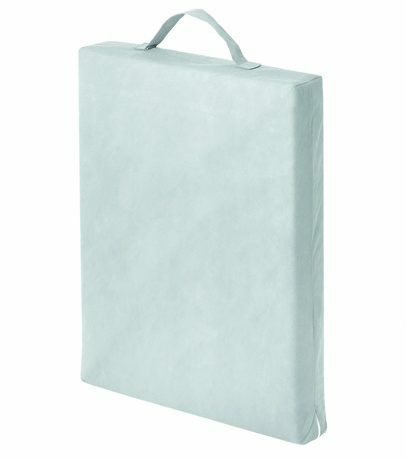 Removable and machine washable cover. 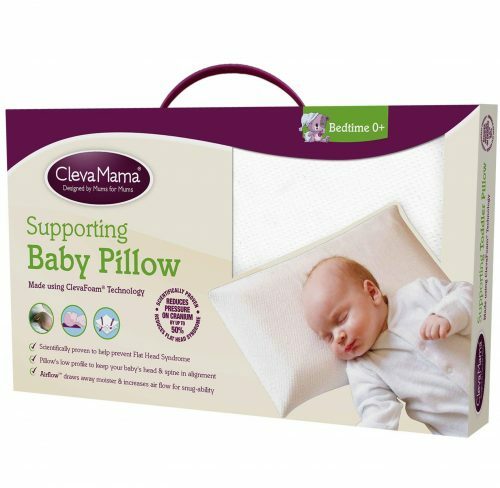 Made using ClevaFoam® technology, which is scientifically proven to reduce the pressure on the back of your baby’s head by 50% and increase body support by 80% thereby helping to prevent Flat Head Syndrome. Clevamama was set up by working Mums and sisters Suzanne Browne and Martina Craine in 2003. 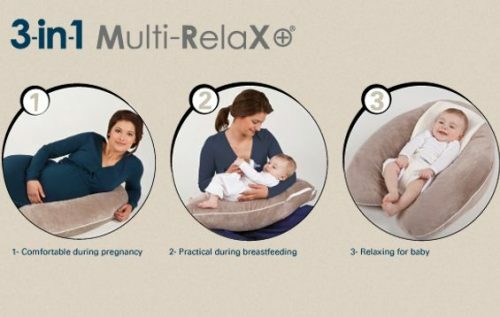 The ethos of their business is to create baby products that work smarter to make parents life that bit easier. Their brand promise is that nothing from their range will ever end up as junk in your cupboard. 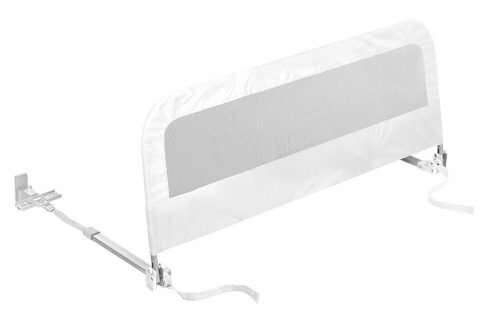 The brand supplies a wide range of Nursery, feeding, bathing and safety products. 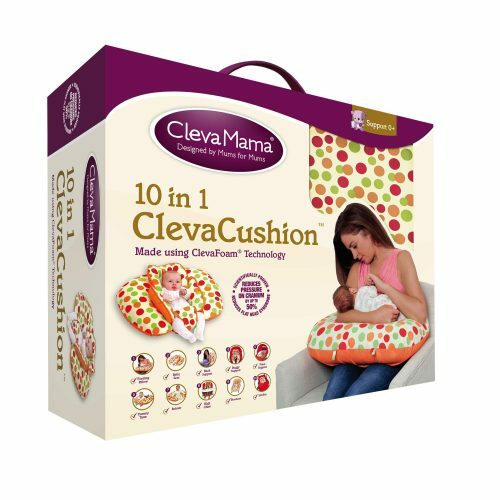 We at Pitter Patter Toys & Nursery stock a wide range of the Clevamama products such as the ClevaBed Toilet Training Sleep Mats and mattress protectors, ClevaCushion 10 In 1 baby nursing pillow and the ClevaSafe Blind Cord Winder just to name a few. 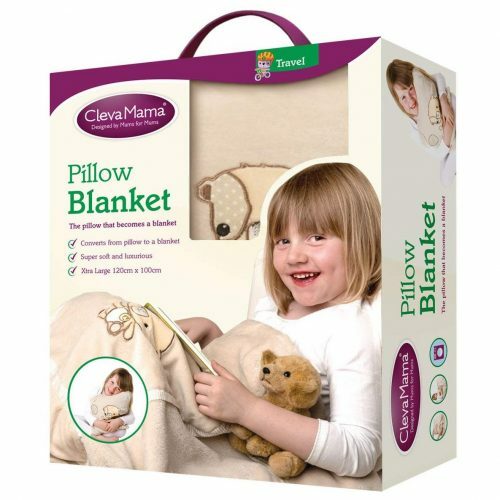 All of our Clevamama products are available from our store for delivery to anywhere throughout Ireland.